AP EAMCET 2019 exam pattern provides details about the number of questions asked in the examination, marking scheme, duration, etc. 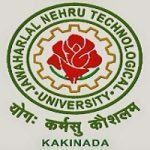 AP EAMCET (Andhra Pradesh Engineering, Agriculture and Medical Common Entrance Test) will be organized by JNTUK to provide admissions in various professional undergraduate courses offered by different colleges located in the state of Andhra Pradesh. Here in this article, we have mentioned the AP EAMCET Exam Pattern 2019. If you have any other queries related to AP EAMCET 2019 Exam Pattern, you can leave your queries below in the comment box. what are the cut off marks for gen? Cutoff marks for eamcet for bc-b..? I think I will get 60 to 65 marks . What’s the rank?? If I get 100 marks what will be range of my rank and is there sets for question papers? How many marks should i get in eamcet to get good engeneering seat in top college. And how to prepare for eamcet easily . Is there any tips to follw. How can Bi.P.C students use online exam mode.It is better to provide writing mode in offline only. I’m an mpc student. How can i study ingineering in related to biology? Is there any chance to study? If there which course is better for a merit student securing more than 92% of marks in intermediate?? will pen be provided during eamcet vexam? Any Indian national can apply online for the test. Refer the website & apply online. You can check the eligibility from here AP EAMCET 2016 Eligibility. from which date, process for applying the forms for seeking admission in BDS ( AP EAMCET) for 2016-17 is going to start.